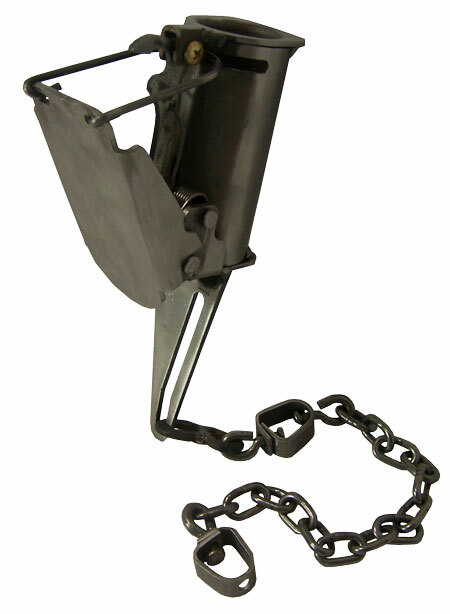 The Freedom Brand Dog Proof Raccoon Trap is loaded with innovative features. The full back plate and quick set design make setting this trap fast, comfortable and easy without the need to reach down with your fingers to insert a dog into a trigger notch while spring wires are digging into your hands. Simply squeeze the back plate quickly to compress the strong music wire springs and the FB DP trap automatically sets. Or, squeeze the back plate more slowly and simply move your index finger a short distance to push the dog down and the trap is set. The FB DP trap can also be set by placing it on the ground and stepping on the back plate or pushing the back plate down with the palm of your hand. All of the new, innovative features of the Freedom Brand Dog Proof Raccoon Trap make it the dog proof trap of choice whether you trap as a hobby or to supplement your income or whether you rely on fur and/or ADC trapping to earn your living. The FB DP trap is proudly made in the U.S.A.